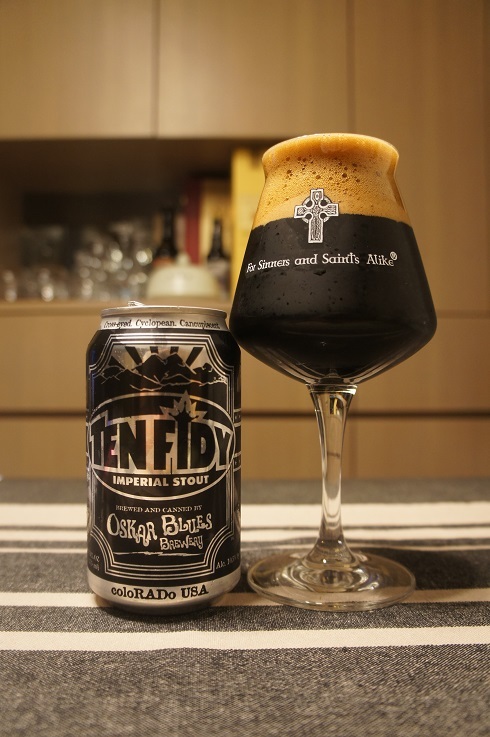 Brewer Description: (from website) Ten FIDY Imperial Stout – This titanic, immensely viscous stout is loaded with inimitable flavors of chocolate-covered caramel and coffee and hide a hefty 65 IBUs underneath the smooth blanket of malt. 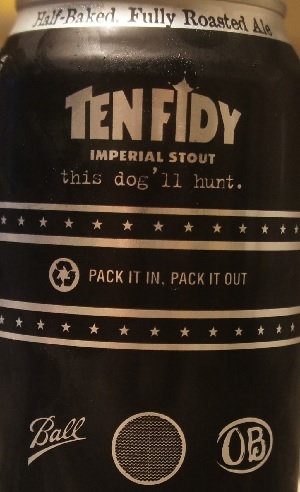 Ten FIDY (10.5% ABV) is made with enormous amounts of two-row malt, chocolate malt, roasted barley, flaked oats and hops. Ten FIDY is the ultimate celebration of dark malts and boundary-stretching beer. Intro: A 12 fl oz can, canned on 13th October 2016, with a note that said “Midnight on a moonless night”. Poured into a Lost Abbey teku glass. Appearance: It was black in colour with a nice two fingered mocha brown head that had great retention and left lots of nice sticky lacing. Aroma: Roasty coffee, rich dark chocolate and light char with hints of molasses and licorice. Taste: Roasted malts, molasses and dark fruit plum and raisins to start, followed by rich dark chocolate, roasty coffee, caramel and a light char. Finish is lightly bitter. Mouthfeel: Rich, velvety, creamy and smooth. Full bodied with moderate to light carbonation. 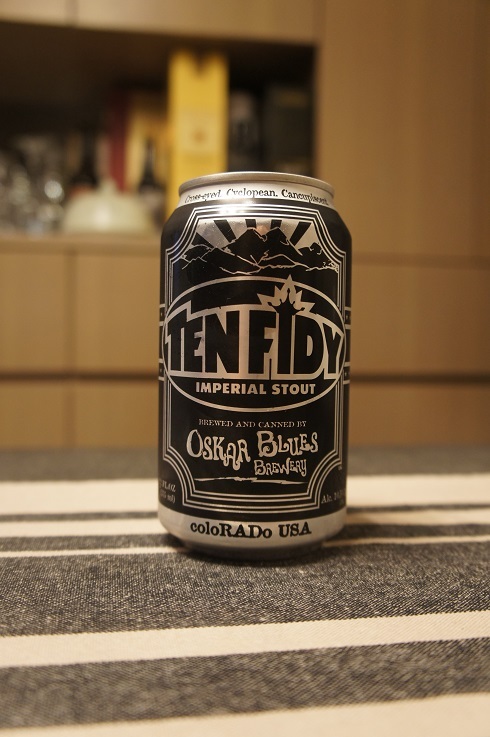 Overall: A wonderful Imperial Stout from Oskar Blues which is nicely balanced and great to drink. Brewer Description: (from website) Intense pure liquid cacao flavors swirl with popping coconut aromas, all supported by a semi-sweet porter made from loads of our dark chocolate and extra dark caramel malt. This limited release specialty comes around once a year to satisfy that sweet tooth, so get ’em while you can before they disappear. 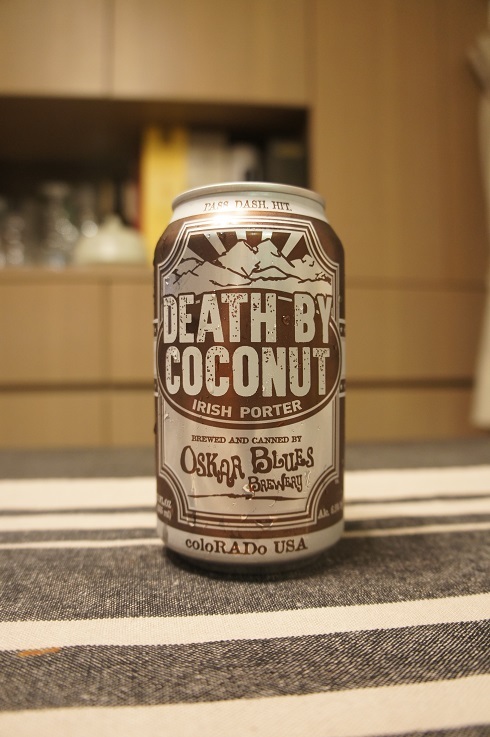 At 6.5% ABV and 25 IBUs, this choconut goodness will have you yellin’ “Pass. Dash. Hit.” all winter long. Intro: A 12 fl oz can with a canned on date of 6th October 2016. Poured into a Lost Abbey teku glass. Appearance: Black in colour with a dark brown hue on the edges, a two finger tanned head that had decent retention and nice lacing. Aroma: Strong coconut and vanilla with chocolate, caramel and biscuit. Taste: Sweet-ish milk chocolate, coconut and vanilla. 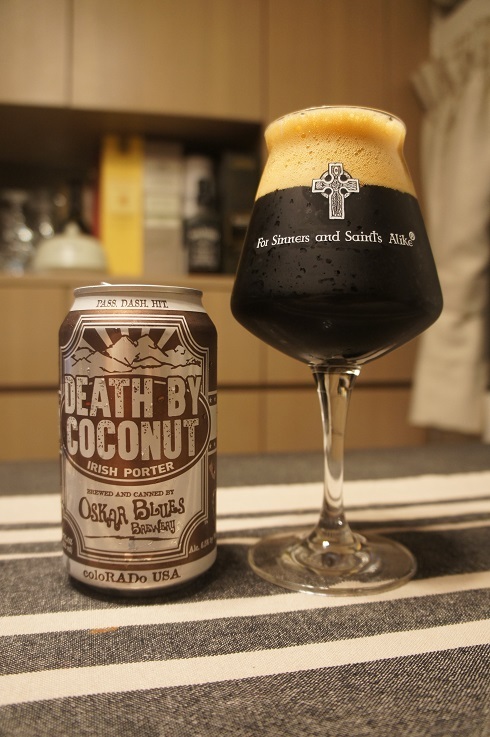 Overall: I preferred the taste over the aroma as I felt that the coconut was a bit overpowering in the aroma. This was not the case with the taste which was on the sweet side but still nicely flavoured. An easy drinking Porter. Brewer Description: (from website) This voluminously hopped mutha… delivers a hoppy nose and assertive-but-balanced flavours of pale malts and citrusy floral hops from start to finish. Intro: A 12 fl oz can with a canned on date of 20th November 2015 and poured into a Mikkeller pint glass. Appearance: It poured a clear copper colour with a less than two finger slightly off white head that dissipated slowly to a nice puffy layer and left nice stringy lacing. Aroma: A lot of pine and wood with a hint of citrus orange peel zest. Taste: Orange citrus with a bitter piney hop in the background and honey caramel malts. Overall: This was a decent pale ale and easily drinkable.